10% of the houses in the United States have undetected water leaks that waste 90 gallons of water per day. Water leaks are a plumbing problem that every house owner is bound to experience. Neglecting a water leak can have dire consequences. They can damage the foundation of your house and take a toll on your finances with repairs and high water bills. Moreover, water leaks can be hazardous to health as they cause pest infestations, infections, and allergies. To prevent yourself and your house from potential danger, have all water leaks in your house repaired by a plumbing service. Here are some possible water leak spots in houses. 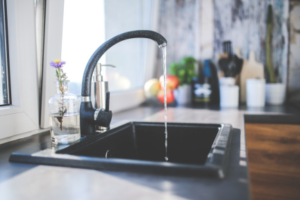 One of the most common spots for water leaks is faucets, both in kitchens and in bathrooms. The water might drip drop by drop but put together these drops can cause a significant increase in your water bill. Water from the leaks also ends pooling on counters causing rust, mold and structural damage. High water pressure causes shower pipes and hoses to wear out and leak. Pooled water in the shower can be dangerous for the residents in many ways. For instance, stagnant water can become breeding grounds for pests which can cause infestation and lead to structural damage to the foundation of the house. The hot water tank installed in your house is prone to water leaks that can quickly become more problematic if neglected. You’re required to act swiftly before the simple leak causes the whole water tank to rupture. Water leaks in toilets happen in two ways, either internally or around the seal. Internal leaks can go unnoticed for long periods of time. As a result, a large amount of water is wasted on a regular basis causing an increase in your water bills. 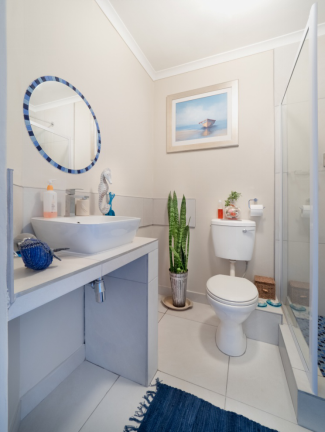 On the other hand, leaks around the seal are also very problematic as they can cause mold to grow on your toilet and the surrounding bathroom floor. When looking for leaks in your house, don’t forget to inspect the surrounding of your house as well. If there are puddles in your backyard, this could mean that the supply line to your house is damaged. Call in a professional plumbing service to repair or replace the water line. If you have noticed any of the above signs of water leaks on your property, get in touch with Your 1 Plumber. We provide excellent plumbing solutions to all residential plumbing problems. To schedule an appointment call us at 561-403-1500.